Betting, mixed with the right element of luck and making the right choices, is still one of the best ways to invest your money. But as profitable as betting is, it’s just as easy to lose all your hard-earned money as it is to make 100% return on investment (ROI). One wrong selection in your accumulator means the whole ticket goes up in flames. Even if you stick to selecting just one game, backing an event that fails to happen means lost money. While there are more than enough ways to make more money from betting, one sure way is to not pick games randomly. Unlike during weekdays, a typical weekend can have 1,500 football events alone. That’s excluding the NFL games, F1 events and all. This amount could make you tempted to make a random selection. randomly. It’s your one-way ticket to losing your hard-earned cash and you can avoid this with a NairaBET account. 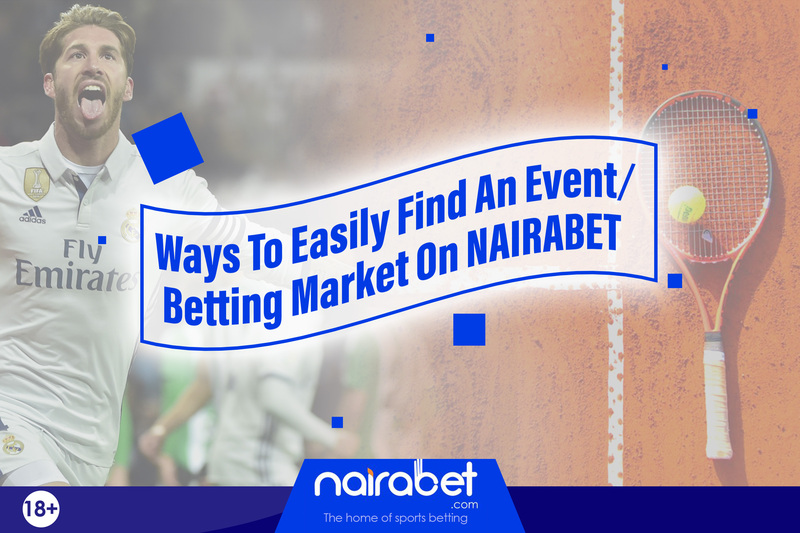 That’s because Africa’s No.1 leading bookmaker, NairaBET, offers several ways through which you can easily find what you’re looking for – whether it’s a sports event or a betting market. Wait…you don’t have a NairaBET account? 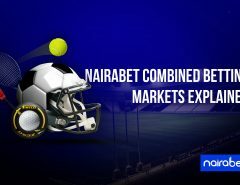 Click here to INSTANTLY open your new NairaBET account and start enjoying amazing sports betting features and massive winnings. Supposing your friend sends you a game and instead of giving you the NairaBET bet code, you get a long list of clubs that play in countries you only hear during the Olympic games. 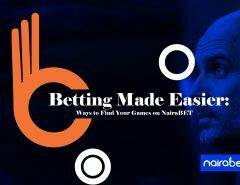 You can either spend minutes trying to find these clubs or you can simply input the name of the club into the NairaBET search engine, which will help you find the club/team within seconds – milliseconds sef…if your internet is that fast. So, if you’re looking to bet on NBA games – which starts this weekend – all you need to do is just use the “Daily Coupon”; and choose basketball. So you’re interested in just the goals market? Or maybe you’d rather just place your bets in the Asian Handicap market instead of backing the total number of points in an NFL game. You can sieve through the multitude of options using the “Quick Filter” feature on NairaBET. 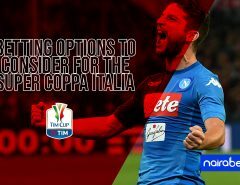 This feature allows you to choose which sport and also select which betting market you want to play in. These three features will definitely make your betting experience a whole lot easier. But which one will you use more in your next betting adventure? Share your thoughts with us by leaving us your comments.